One year after their run ended a victory shy of advancing to the World Series, the Yankees are officially back in the postseason for another crack at the title. 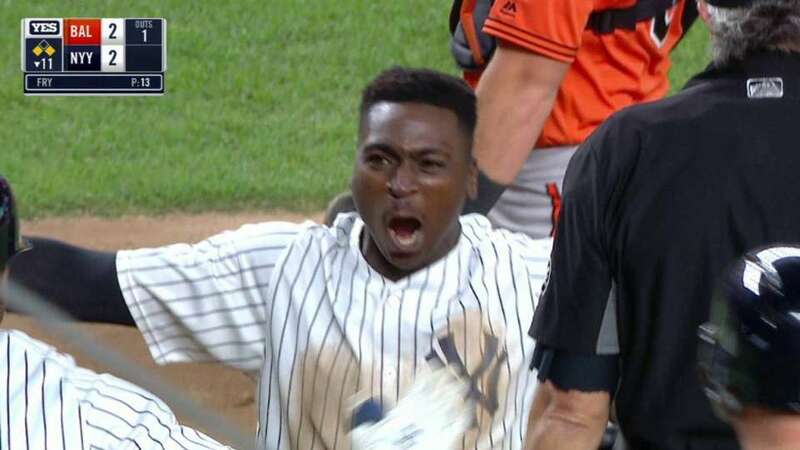 Aaron Hicks doubled home Didi Gregorius to lift New York to a 3-2, 11-inning victory over the Orioles on Saturday at Yankee Stadium, punching a ticket for the American League Wild Card Game and freeing the club to pop corks in celebration. New York’s magic number entering the afternoon stood at two, and combined with the Rays’ 5-2 loss at Toronto, the Yankees can now use their final regular season games to prepare for that Oct. 3 showdown. With home-field advantage still up for grabs, manager Aaron Boone said that he will not ease off the gas pedal, though he believes it is important that his 95-59 club takes a moment to acknowledge what it has accomplished.